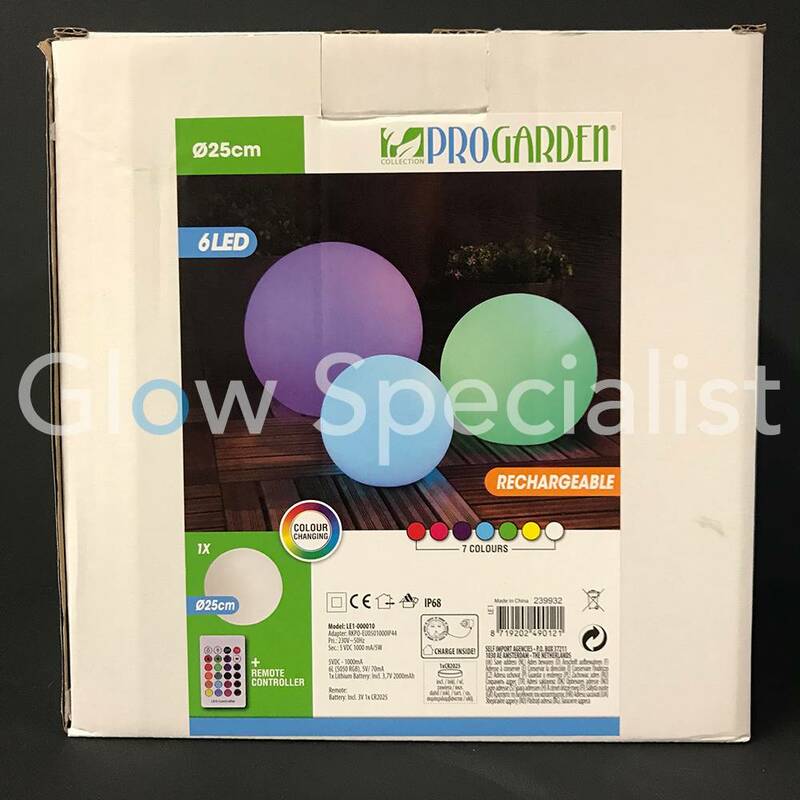 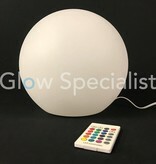 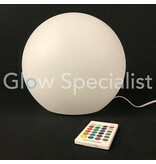 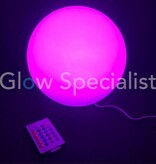 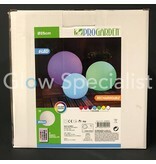 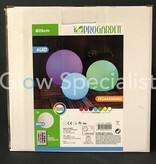 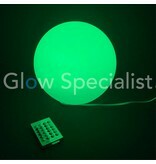 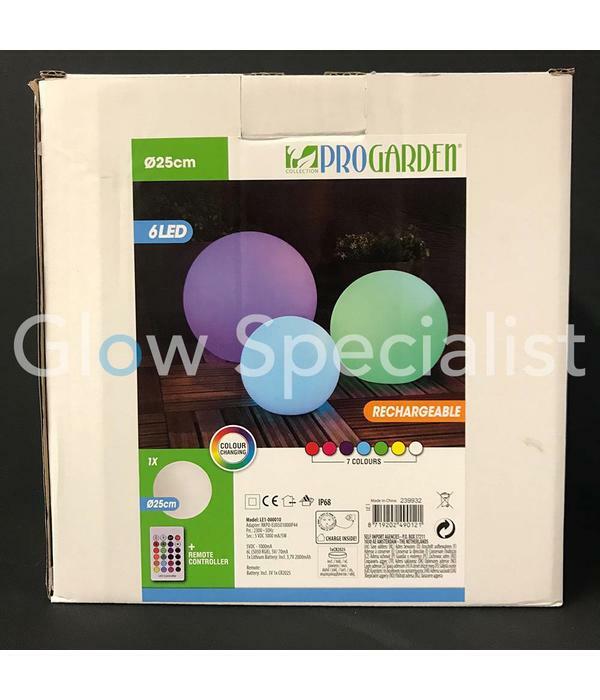 The LED ball with remote control is a real eye-catcher in the garden or on the terrace during a sultry summer evening. 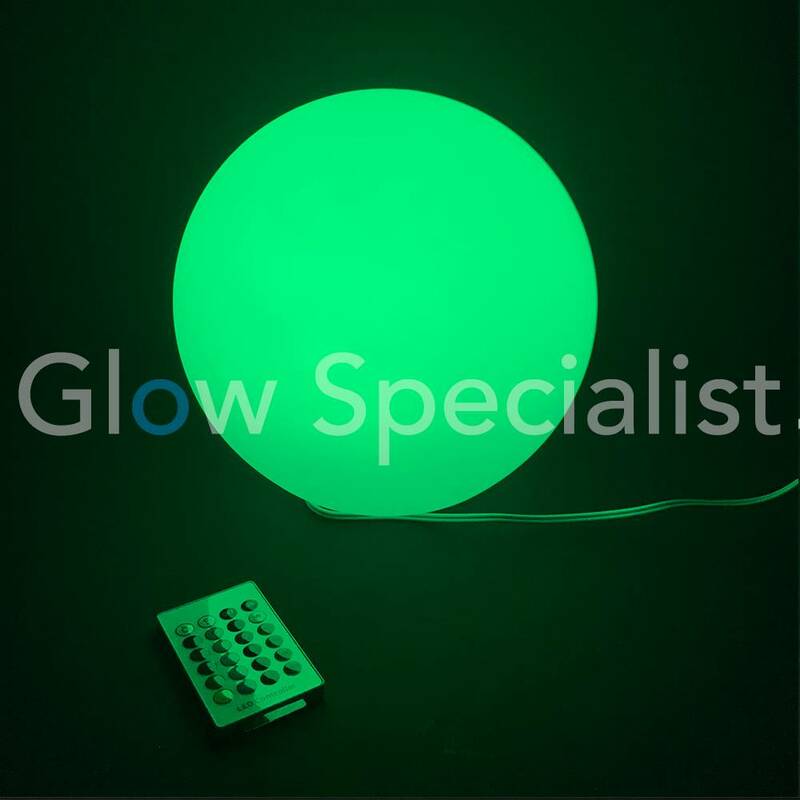 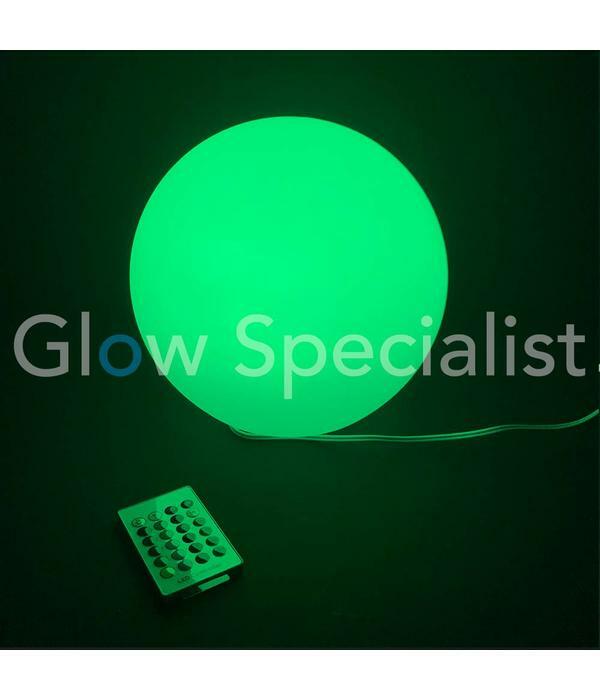 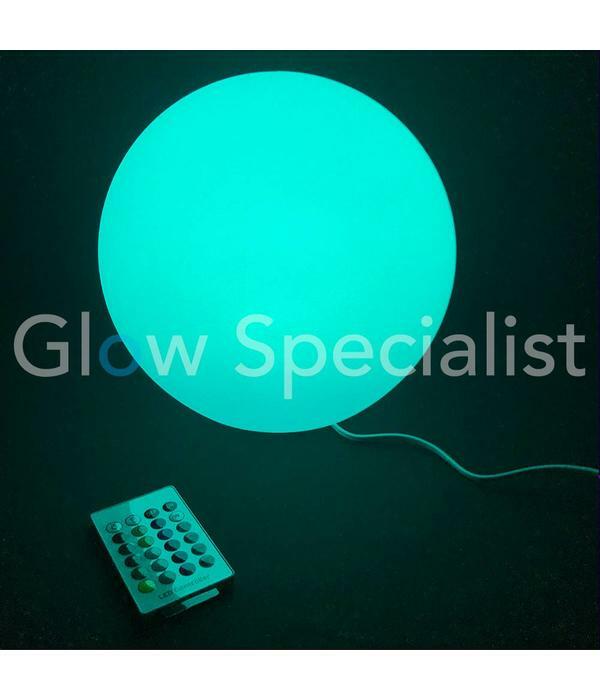 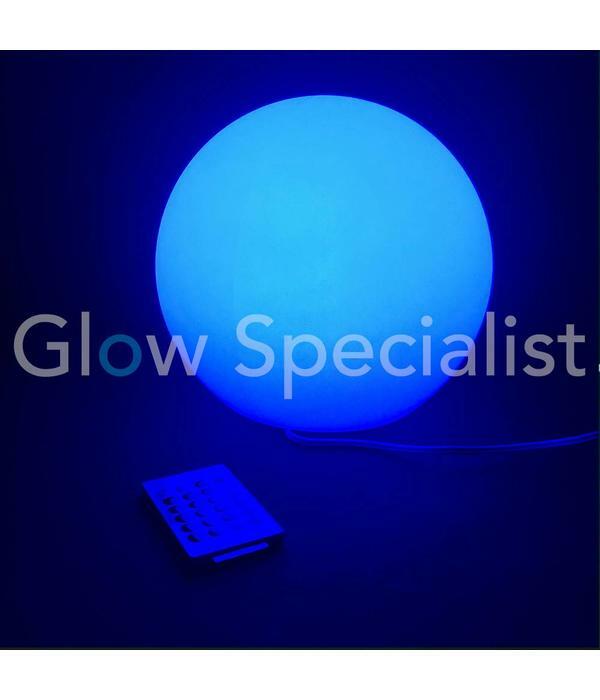 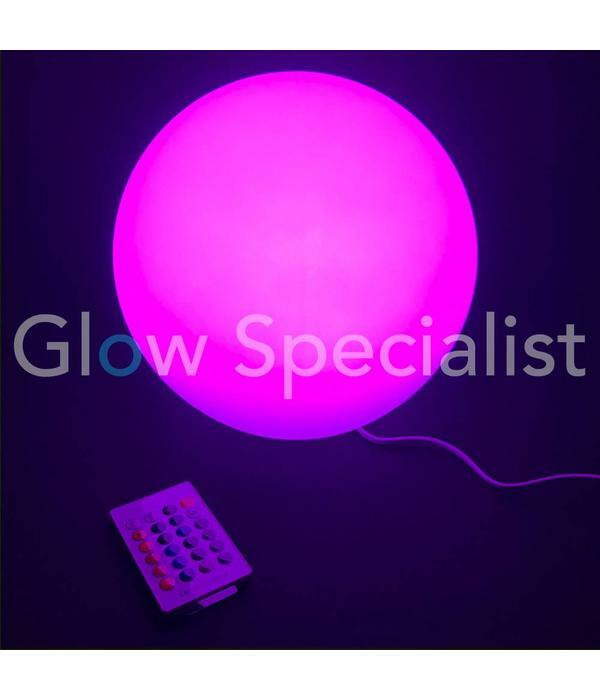 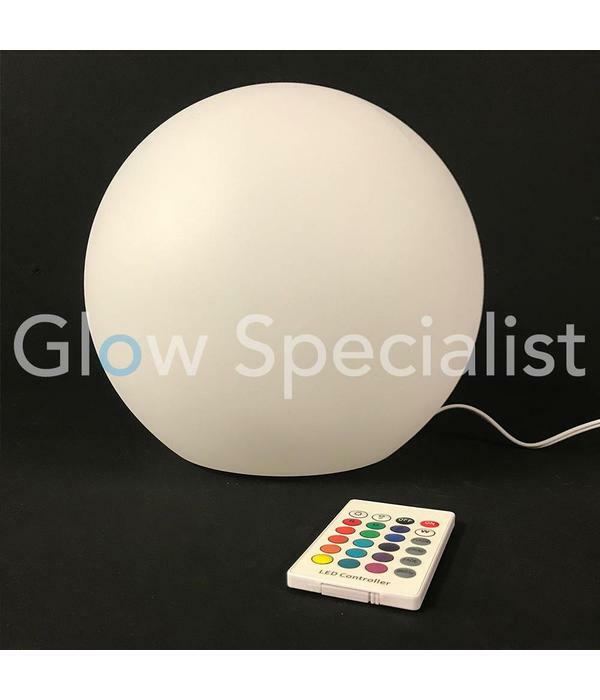 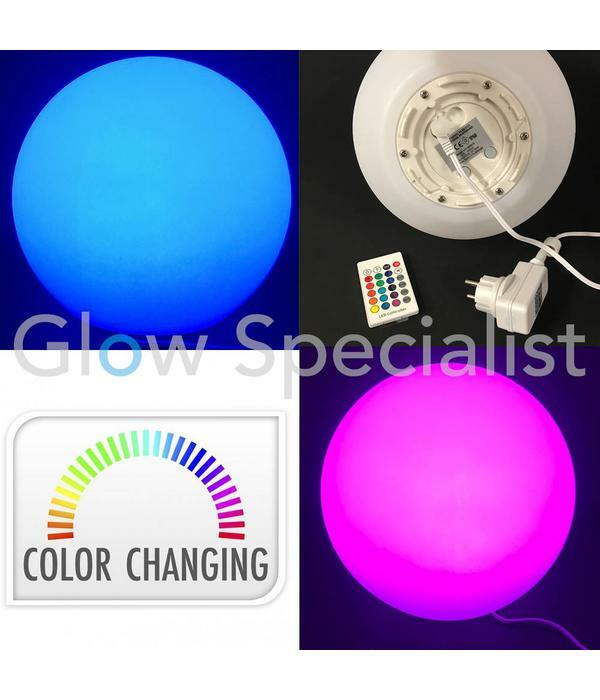 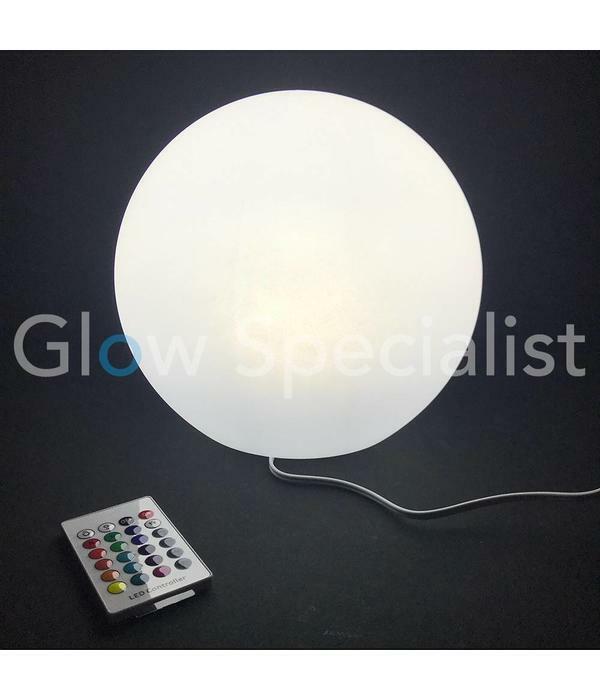 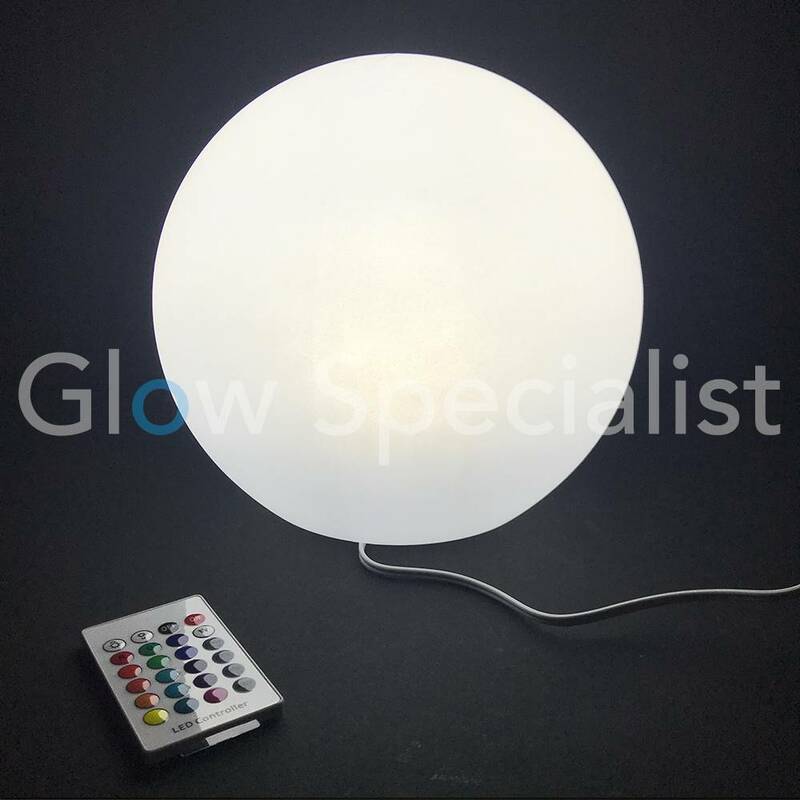 The LED ball comes with a remote control that allows you to easily switch the ball from a distance and select the color of the ball. 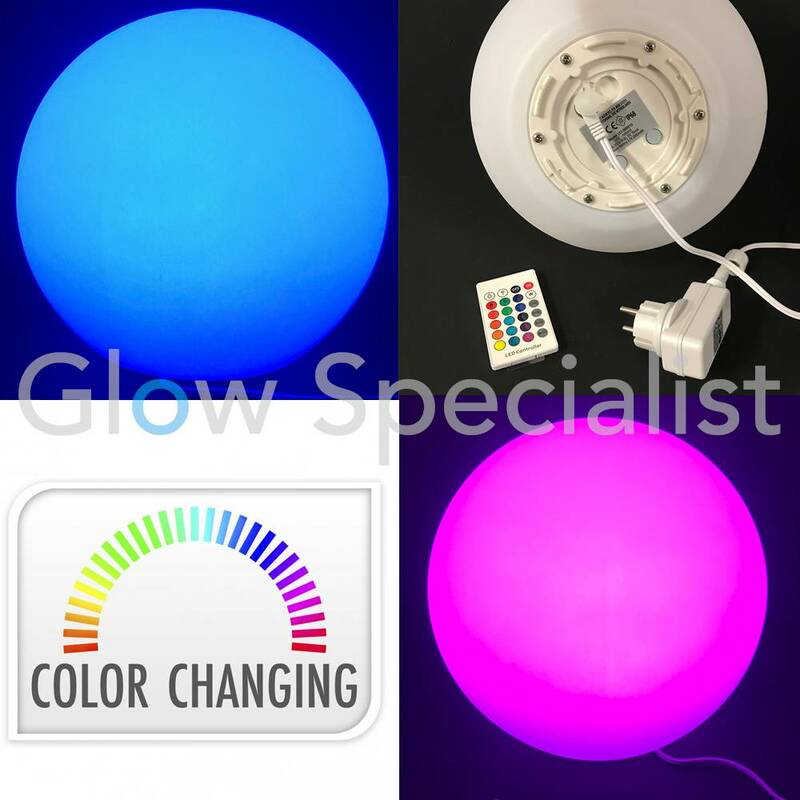 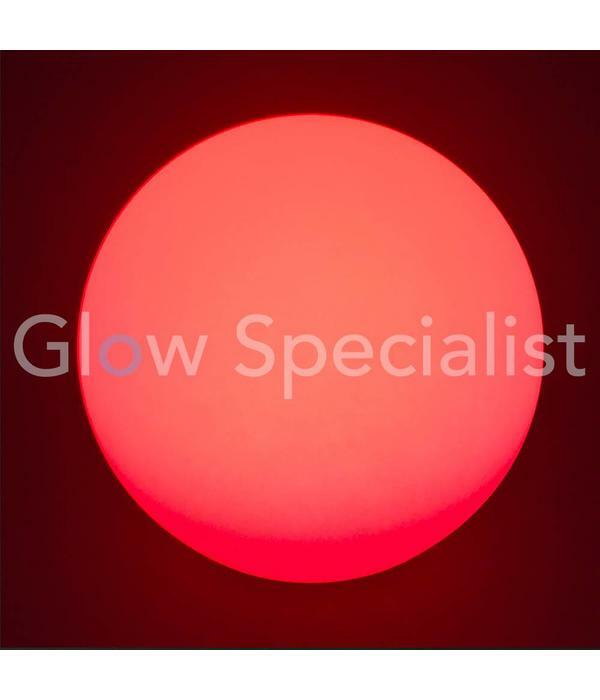 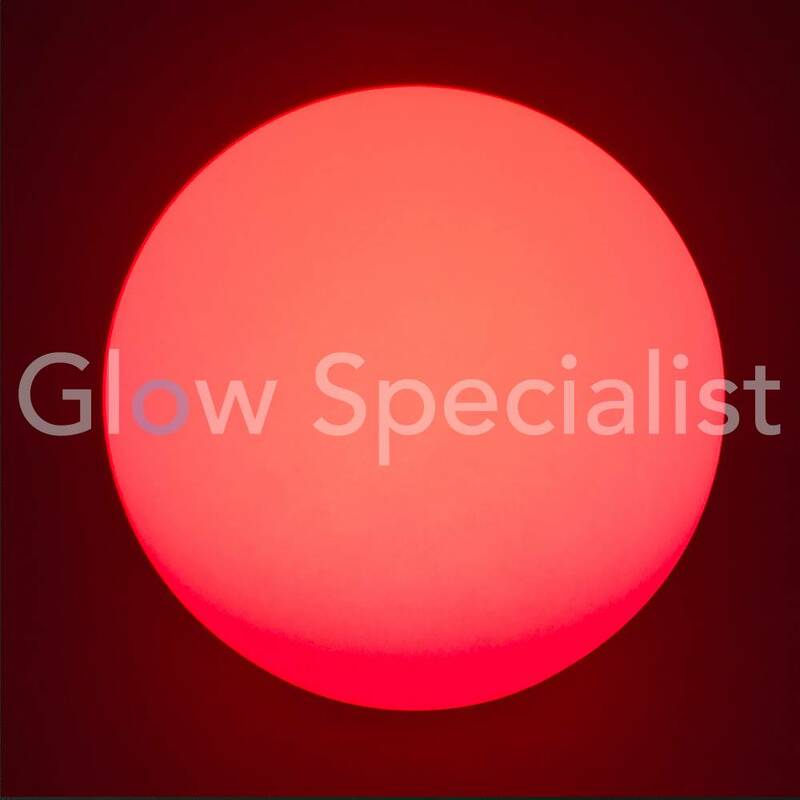 There are multiple modes such as a strobe effect, a slow (fade) and fast (flashing) color change and you can also fix a color (16 colors). 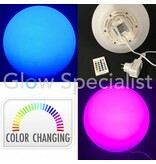 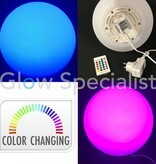 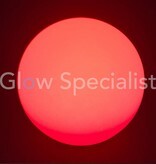 The different color options are also adjustable using the MODE button on the bottom of the bulb. 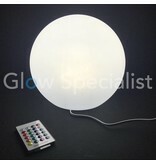 You can also change the brightness with the remote control. 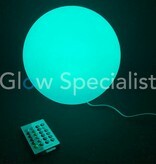 The ball has a diameter of 25 cm. 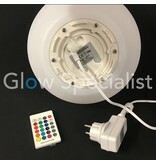 The LED light in the bulb can be recharged (indoors) via a plug in the socket. 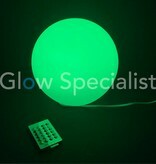 The remote control operates on a button cell battery (battery included). 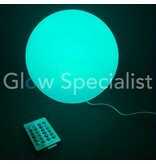 Once charged, the bulb can be placed wherever you want without the plug / cord. 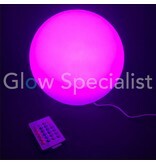 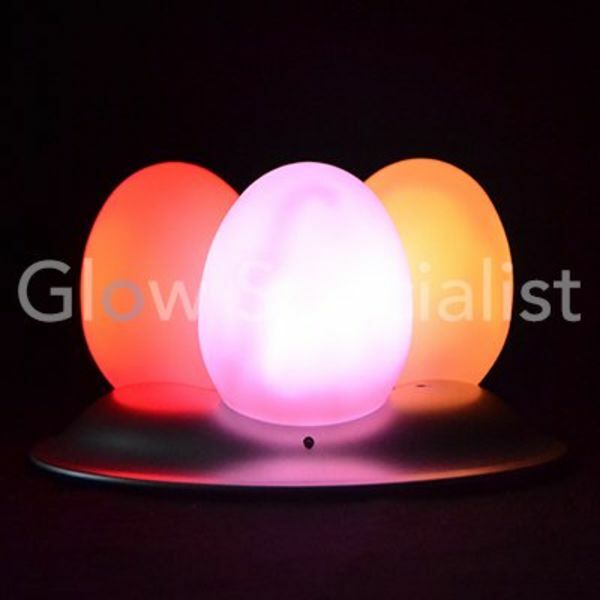 Make your interior or garden even more cozy with this colorful LED ball. Rechargeable (indoors) The lamp must be charged for the first time for at least 8 hours. 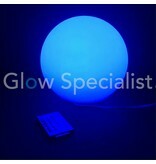 After charging for the first time, it takes about 6 hours to recharge the lamp. PAY ATTENTION! 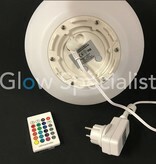 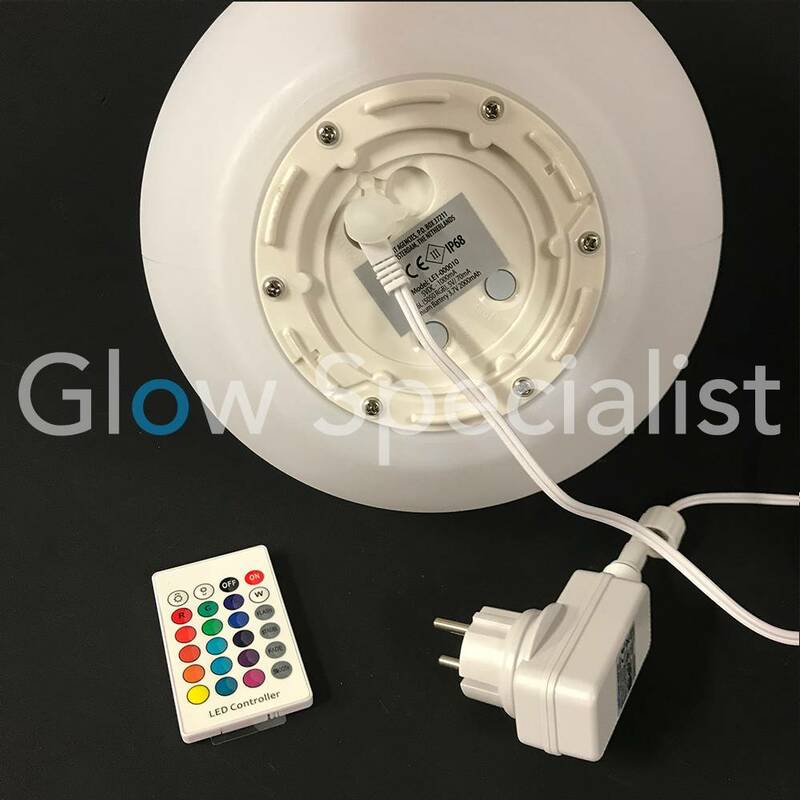 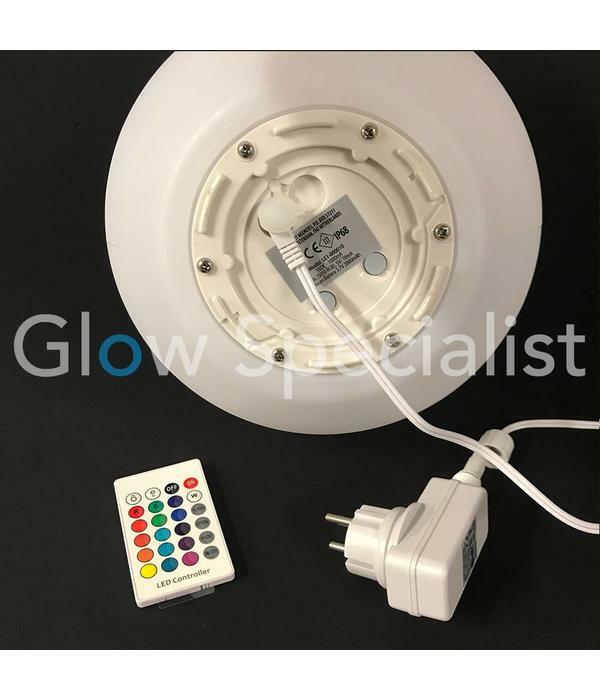 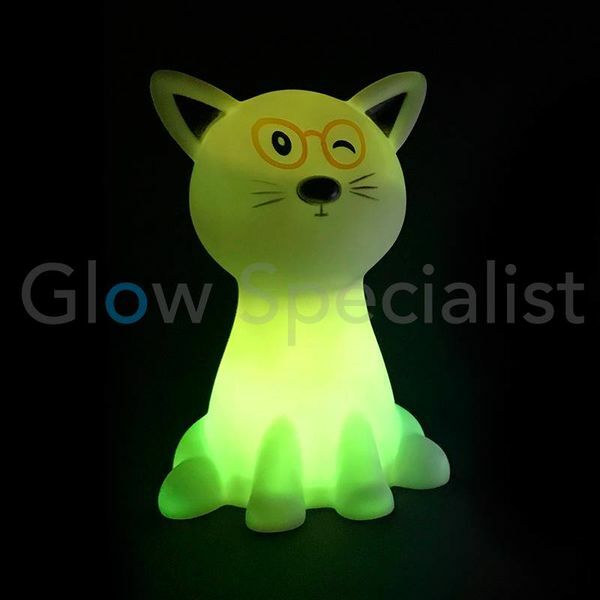 Although this lamp is suitable for outdoor use, the charger is only suitable for indoor use and should not be used outdoors or exposed to wet (weather) conditions.